Join us today to make your own goldfish bowl. 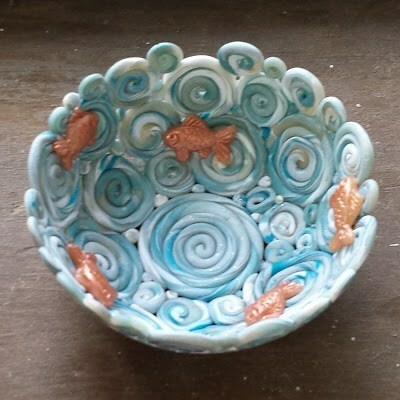 Okay, it’s a coil bowl with goldfish or any other fish you’d like to add to it. $10 per bowl. Bowls will be ready in two weeks to paint and there is no additional charge.